I am told that Mr [Boris] Johnson’s response when presented with inconvenient truths is to cover his ears and hum the national anthem until the bearers of the bad news go away. While Ireland plays only a small role in his research, Gerwarth’s work is a clarion call to Irish historians to understand how many factors we look at as particularly Irish are actually representative of much wider forces. The final, and surprising, concern with McCullagh’s valuable book is that it fails to convince on why so many chose to support de Valera and his parties. It is impossible to understand de Valera without accepting that he was incredibly successful in persuading people who had previously opposed him, and who were exposed to substantial propaganda directed against him, to switch their support to him. A simple illustration of this is that in 1923, the republican side, led by de Valera, received 280,000 votes and nine years later Fianna Fáil, led by de Valera, received 560,000 votes. This was achieved with zero access to patronage and in the face of the aggressive hostility of the majority of the media. Notice what Martin does here. He goes straight from arguing that events in the Irish independence era need to be seen in a European context, while Fianna Fail's election success in 1932 needs to be seen as a uniquely De Valera achievement. And what was that mysterious event that caused the FF vote to surge between 1922 (and 1927) and 1932? A little global disturbance called "The Great Depression." Look at FF's election literature from 1932. Dev had a newspaper (the Irish Press, established with his American money) and an economic crash. It would have been difficult not to get elected. The advance of liberty has never been easy, and Iraq is proving how tough it can be. Yet, the safety and security of our citizens requires that we do not let up. We can be smarter about how we deploy our manpower and resources; we can ask more of our Iraqi partners, and we will -- one thing we cannot do is give up on the hundreds of millions of ordinary moms and dads across the Middle East who want the hope and opportunity for their children that the terrorists and extremists seek to deny them, and that's a peaceful existence. As we work with Congress in the coming year to chart a new course in Iraq and strengthen our military to meet the challenges of the 21st century, we must also work together to achieve important goals for the American people here at home. This work begins with keeping our economy growing. As we approach the end of 2006, the American economy continues to post strong gains. The most recent jobs report shows that our economy created 132,000 more jobs in November alone, and we've now added more than 7 million new jobs since August of 2003. The unemployment rate has remained low, at 4.5 percent. A recent report on retail sales shows a strong beginning to the holiday shopping season across the country -- and I encourage you all to go shopping more. A minimal way to engage Americans in the overseas conflicts being fought by their military would be to have to an explicit Congressional authorization for them. To the extent that the operations in the Sahel, Somalia, and Syria have any legal basis, it's the post 9/11 AUMF against al Qaeda! 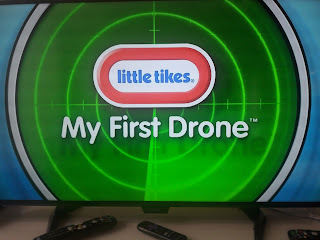 Ad on TV that caught kid's attention. 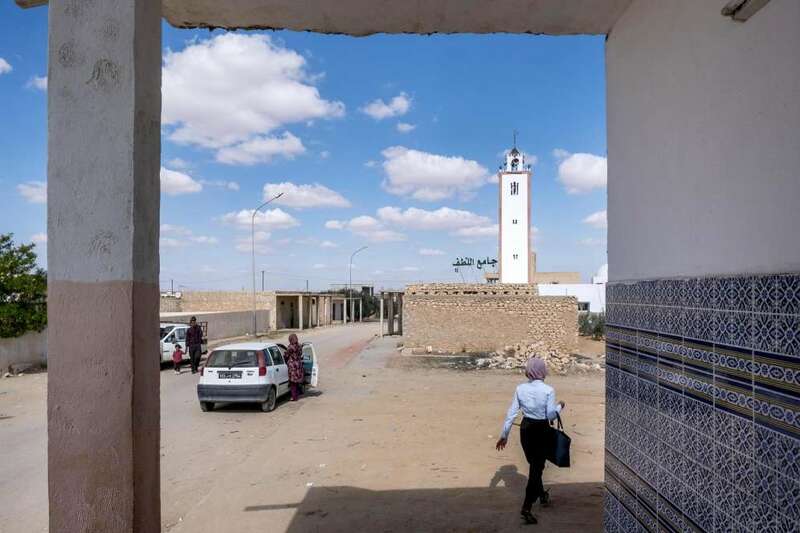 One of a brilliant series of photos in Le Monde from Tunisia, the Tunisia outside the cities and not on the radar screen of elites clinging to the Arab Spring narrative. This is the town of Oum Choucha, which as the story explains, has a main street, a mosque, and two shops that open only in the mornings. Everyone in the town sees getting a relative, or themselves, to Europe as the only option. It was forgotten very quickly, but the World Health Organisation Director General, Dr Tedros, who appointed Grace Mugabe's husband as WHO African Goodwill Ambassador for Non-Communicable Diseases, nearly didn't make it into that position because of substantive accusations that he had covered up cholera epidemics in Ethiopia. MOGADISHU, Somalia - The man who killed more than 300 people with a truck bomb in the center of Mogadishu on Saturday was a former soldier in Somalia’s army whose hometown was raided by local troops and US special forces two months ago in a controversial operation in which 10 civilians were killed, officials in Somalia have said. The death toll from the bombing now stands at more than 300, making it one of the most devastating terrorist attacks anywhere in the world for many years. On Tuesday remains of victims were still being brought out of rubble spread over hundreds of square meters. Investigators believe the attack on Saturday may in part have been motivated by a desire for revenge for the botched US-led operation in August. Al-Shabaab has not claimed responsibility for Saturday’s attack but a member of the cell detained by security forces has told interrogators the group was responsible, one security official told the Guardian. Following the raid, in which three children aged between six and 10 died, local tribal elders called for revenge against the Somali government and its allies. Do the Telegraph's Brexit true-believers (and its enthusiastic #Irexit retweeters) have any idea that the leading edge of Brexit panic has clearly arrived at the paper? 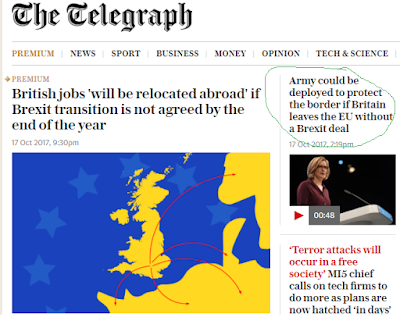 The webpage currently up for Wednesday readers features a map of northwest Europe that is somehow trying to make a point about Britain's reverse Operation Sea Lion of jobs but does so by leaving out Ireland, and then an adjacent story which admits that despite all the bluster about imaginative technical solutions and an invisible border with Northern Ireland that only the EU wants to impose -- now they learn that the plan is to militarize the border in a no-deal scenario! Some of those seriously injured in Saturday's bombing were moved by ambulance to the airport on Monday morning to be flown to Turkey for further treatment, Nur added. Workers unloaded boxes of medicine and other medical supplies from a Turkish military plane parked on the tarmac, while Turkish medical teams attended to the cases of injuries moved from the hospital for evacuation. Why is it left to Turkey to give help when the USA has scaled up military involvement in Somalia? 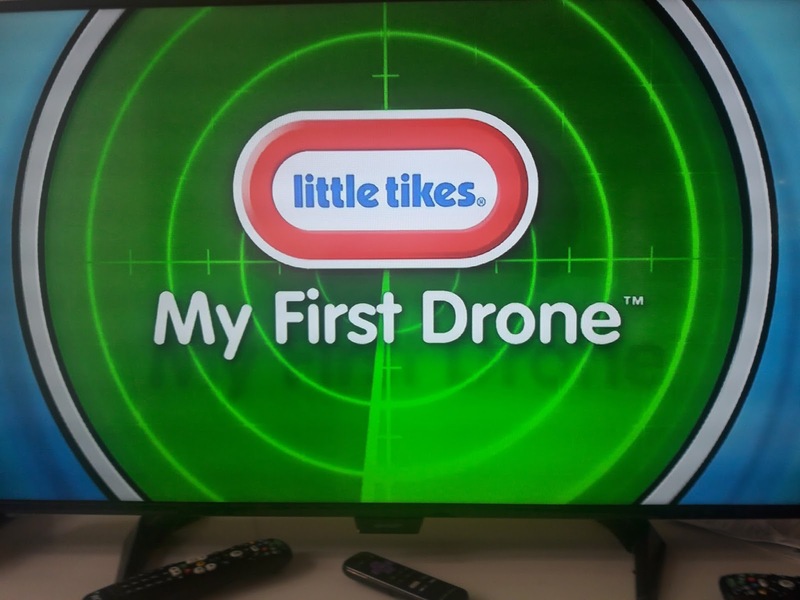 The United States military said on Sunday that it had carried out a drone strike in southern Somalia against the Shabab, the Qaeda-linked insurgent group — apparently the first such strike since President Trump relaxed targeting rules for counterterrorism operations in that country in March. The strike, which the military said targeted a command and logistics portion of a Shabab camp, came two and a half months after Mr. Trump cleared the way for offensive strikes in Somalia, a chaotic nation in the Horn of Africa, without a specific self-defense rationale. More than 200 people were killed by twin bomb blasts that struck busy junctions in the heart of Somalia’s capital Mogadishu, officials said on Sunday, marking the deadliest attacks since an Islamist insurgency began in 2007. The point is that the bomb attack is an indictment of the strategy of raising the level of force against these entrenched insurgencies taking on weak, externally half-backed governments. Trump thinks he's getting tough against al-Shabaab, so they import Baghdad tactics in response. The king praised the leadership role of the new US administration, which recognizes the magnitude of these challenges and threats, stressing the need for concerted efforts and taking firm positions on terrorism and extremism and its first sponsor, Iran. President Trump expressed his appreciation for the initiative of the Custodian of the Two Holy Mosques and his support and stressed the keenness of the United States of America to work with its allies to achieve world security and peace. By the time Hurricane Ophelia hits Ireland, it won't be Hurricane Ophelia. It will be a hurricane-force post-tropical cyclone. Note also that the arrival of Ophelia will pose another conundrum for the idiocy of named winter storms in Britain and Ireland, as Ophelia now races to land with a potential Brian coming in across the north Atlantic. Both cases show that the tendency to analyze human rights catastrophes in terms of places that the USA has invaded only gets you so far. South Sudan and Myanmar were pet causes of celebrities, pundits, and governments for 10-15 years before their current, entirely foreseeable disasters. Over the last decade and a half, United States policy has also consistently prioritized the immediate threat of Sunni extremist organizations over the longer-term threat of Iranian-backed militancy. • In doing so, the United States has neglected Iran’s steady expansion of proxy forces and terrorist networks aimed at keeping its neighbors weak and unstable in hopes of dominating the greater Middle East. Recently, the Iranian regime has accelerated the seeding of these networks with increasingly destructive weapons as they try to establish a bridge from Iran to Lebanon and Syria. • The Trump Administration will not repeat these mistakes. That's 3 decades of harsh lessons being reset to zero, from the emergence of extremist groups in Afghanistan in the 1980s to the widening scope of related groups in the 1990s, to 9/11, Al Qaeda in Iraq, ISIS, and whatever else is now brewing in Libya, Syria, and Yemen. The struggle for Irish independence was about equality under the law, property rights and political self-determination. Guevara represents none of that. He hailed from an upper-middle-class family and became a Marxist revolutionary who murdered an unknown number of political opponents during and after the 1959 Cuban revolution. Note that their concern about Che seems to be not with the murders (since it would require a very sanitized view of the Irish struggle to make that a distinction) but that he was a class traitor and not primarily a nationalist. There might be a little anxiety there that for all the apparent extinction of conventional socialist political parties, something might be rumbling underneath. 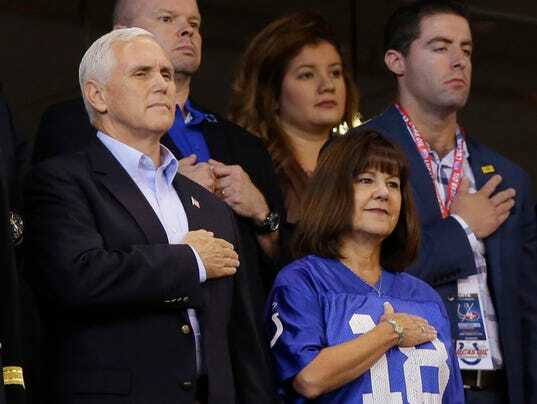 There are about 10 different things wrong with Mike Pence's idiotic and expensive stunt of flying across the country and back with the express purpose of taking offence, but number 10 on that list would be the hand-on-heart pose during the playing of the National Anthem. Yes, there's a specification in the US code to do this, but it's unenforceable and it was only formalized in 1942. 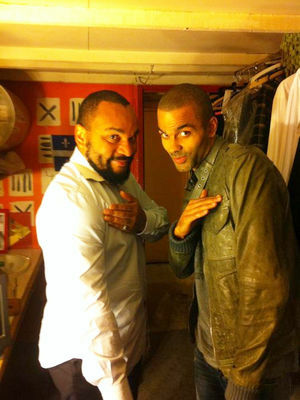 Which brings us to the quenelle, the arm gesture associated with French comedian and provocateur Dieudonné (seen here also being illustrated by Tony Parker). 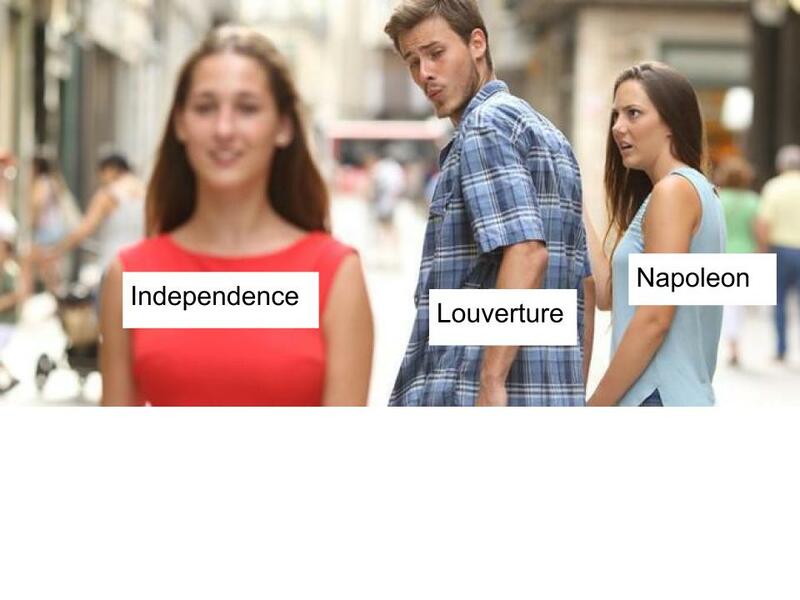 Now, the quenelle is controversial because Dieudonné has not gone to much effort to hide the fact that it's an arm being prevented from doing a Nazi salute (which is why the other arm is sometimes placed over the arm with outstretched hand). And that hand-on-heart thing: it was formalized because the previous alternative was a salute that looked too fascist from the perspective of 1942, but they wanted something like it: the Sieg Heil position, retracted. So the pose descended from a fascist salute is respectful, but kneeling during the anthem is not. Kim Jong Un’s sister, Kim Yo Jong, was made an alternate member of the politburo - the top decision-making body over which Kim Jong Un presides. Alongside Kim Jong Un himself, the promotion makes Kim Yo Jong the only other millennial member of the influential body. Mass shootings typically involve a substantial measure of planning and preparation. Stephen Paddock walked into a luxury hotel—correction, he walked into a hotel-casino, where it’s part of the business model to know and watch customers carefully—with 23 weapons, ammo and related equipment. The column makes the above part of an argument against gun control as the lead option in response to the Las Vegas atrocity, but independently of position on that issue, it makes good points along the way. The casino knew a lot about the finances of the person with a lot of mysterious cases in his room. Something on which the world seems to need an occasional reminder: While George Bush and Tony Blair (rightly) attract most of the opprobrium over the Iraq war, the final sign-off decision on that war was endorsed by 4 people at the March 2003 Azores summit: Bush, Blair, Jose Maria Aznar (then Prime Minister of Spain) and Jose Manuel Barroso (then PM of Portugal). 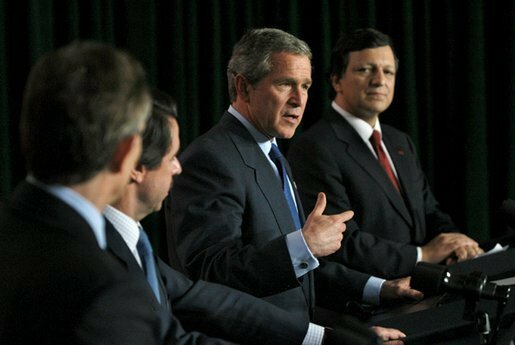 Aznar and Barroso continued with gilded careers in government and then the private sector -- recently, with controversy for Barroso's stint at Goldman Sachs. 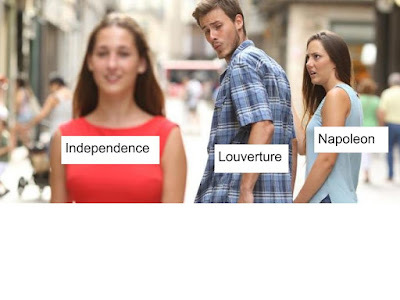 Anyway, Aznar was PM as leader of the Partido Popular. In 2004, the PP lost the general election in the wake of the Madrid train bombing atrocities and the clumsy attempt of the government to blame them on ETA. Subsequent Socialist rule was ended by discontent over the debt crisis in 2011, and the PP has been in power since led by Mariano Rajoy -- who was in Washington DC last week and got Donald Trump's statement against the referendum. It's that PP government that is directing the crackdown on the referendum in Catalonia today. The point is that the cartoonish nature of American conservatism (and the caricature of Blair as a one-off poodle to it) seems to have obscured what was happening in European conservatism: it was becoming more self-serving, opportunistic, and reactionary. And that's the Europe of Brexit, Poland, Orban, and rubber bullets being used on voters today.